Leeks add such incredible flavor to a dish, and they are quite fun to grow. There are only a few factors that complicate growing leeks, and they are really not that complicated. 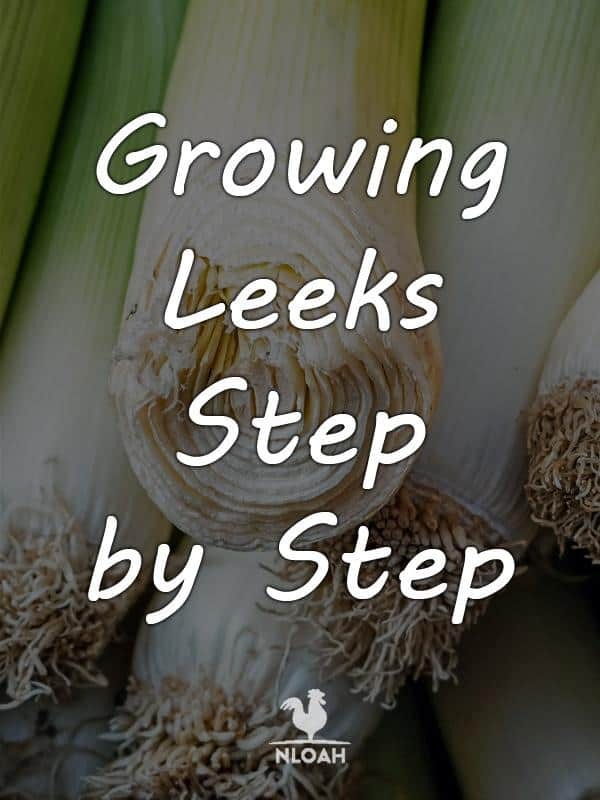 Leeks are reasonably easy to grow, as long as you pay attention to their time frame and keep up with them through the season. Many plants will grow more in the long days of the far north, which compensates for our short window between frosts. This is how we attain our famous giant cabbages and pumpkins. In contrast, I swear leeks must wear wristwatches. Leeks require between 120 and 170 days from seed to plant depending on the variety. For the leeks, this is non-negotiable. Leeks add decadent flavor to many dishes, from the simple potato leek soup to fancy savory tarts. Leeks should command a higher price for market gardeners than onions do. While they do require a bit of work and fertilizer, they do not require a huge amount of space. Leeks provide the same heart healthy, anti-fungal, anti-bacterial, and cancer fighting compounds as their relatives: onions and garlic. As they are less pungent, they may be an acceptable alternative for people who do not like cooking with garlic or onions. They can be sliced without tears and their flavor is almost sweet. Leeks can remain in the ground well into the fall, providing fresh harvest at the end of the growing season. They typically don’t have serious pest or disease problems on small scale gardens or farms. You do need to take care of your leeks to get a good yield, but they are not extremely finicky. The big choice you have to make is between leeks that take a long time to mature, and leeks that take an even longer time to mature. The shortest cycle you can hope for is 100 days from seed to harvest, and 120 is more common. The slower varieties require 170 days. Longer season leeks reward growers with better flavor, larger stems and better storage. Other than your patience, the leek variety you select depends on your climate. Northern dwellers should choose frost-hardy varieties. Mild climate growers who plan to overwinter their leeks for spring harvest should choose overwintering varieties. You also must pay attention to the day length of the variety you choose. “Short day” leeks are likely to bolt in the long days of northern summers. However, they will do well in more southerly climates. As with all plants, I highly suggest talking with neighbors. They have the best handle on what will work well for your own unique climate and underlying soil conditions. Beyond climate considerations, leeks do not come in the same dazzling varieties as many other plants. The difference between varieties lies in the growing conditions they are bred for. All the plants are tall, slim, and green. I believe the slower growing leeks have better flavor. However, I believe leek flavor is influenced more by growing conditions than by variety. This is a personal opinion, not a scientifically proven fact. I think the conditions that give the best flavor are a good long time to grow and well balanced soil. Leeks take a long time to get going. In cool or temperate climates, the seeds should be started at least 12 weeks before your last frost date. You can start with green transplants or with leeks that were grown to a small size and then dried over winter. All transplants should go in the ground as soon as you can work the soil. They should be tolerant of late frosts, especially if they have a little protection. In mild climates, leeks can be overwintered. Leeks can be planted in late summer/early fall and overwintered in the ground. Their growth will slow during short winter days, but pick up again when spring brings lengthening days. 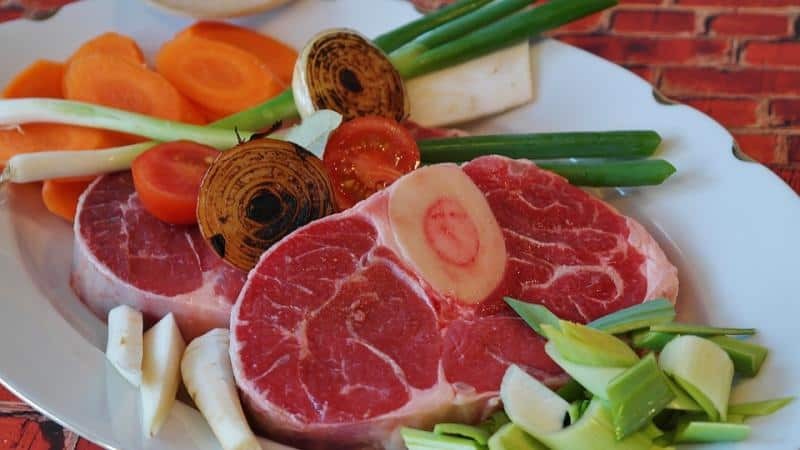 This long, slow growing technique can produce truly scrumptious flavor. If you plan to use this technique, look for “overwintering” varieties. Leeks do not tolerate extreme heat very well. Southern growers may not have luck with leeks as a summer crop. They are especially sensitive to a radical change in the weather between spring and summer. This can cause bolting. Plant leeks in a sunny spot. They don’t form a true bulb. The edible part is really a thick stem. However, like crops grown for their bulbs or roots, leeks require soil that is well drained. Drainage is essential to prevent rotting. Leeks are a great candidate for raised beds, provided the beds are reasonably deep. Leeks and other crops grown for their below ground parts require soil that is not compacted. However, you do not want the soil to be so loose that the plant thinks it is disturbed. If the plant thinks the soil is disturbed it may bolt. However, if the soil is too tight or fine grained, there will not be space for the developing stem to thicken. Leeks grow best in slightly acidic soil. Leeks require nutrient rich soil, preferably amended with compost. Using chemical fertilizers can increase the risk of bolting. The best way to fertilize leeks is to add compost or manure to the soil in the months leading up to planting. According to Eliot Coleman’s “Four Season Harvest”, all allium plants (leeks, garlic, shallots, onions) tend to have lower yields if they are planted in soil that was last occupied by brassicas (kale, turnips, cabbage, broccoli, and many others). Some permaculturists have also noted that leeks have a negative effect on beans and peas. Give these crops some space from your leeks. The best companion plants for leeks are carrots. Leeks and carrots seem to repel each other’s’ pests and to break up the soil for each other’s’ roots. However, remember that you will be mounding your leeks during the season. If you employ this companion planting you need to plant in such a way that you will not bury the carrots when you mound the leeks. 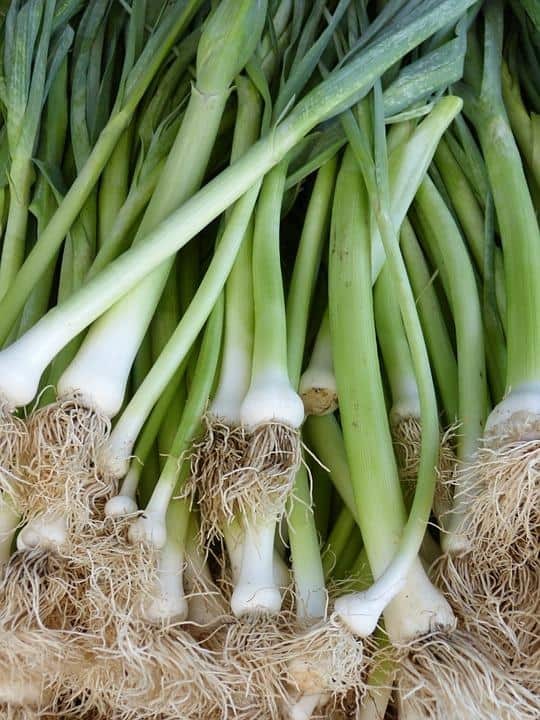 Leeks do well with other allium species such as onions, shallots, and garlic. However, they prefer more moisture than garlic and bulb onions do. Planting a hodgepodge of these crops all together will make watering tricky. Strawberries, lettuce, chard, and beets may benefit from leeks’ presence. The oniony smell from the leeks can discourage some of the pests that prey on these tender crops. One method I have employed is planting little borders between tender crops with shallots or leeks. These provide barriers for pests that do not like the oniony smell, and breaks up pests’ habitat. Leek borders can also create a barrier between plants that might be aggressively outgrowing their area and their slower growing neighbors. A dense planting of deeply planted leeks can block weeds that spread beneath the soil such as grasses. Lastly, with the leeks’ soldier-like appearance, I just like the way it looks. If you start leeks from seed, you need to start them months before planting out. For four season climates, this would be in February or March. This can be tough if you don’t have a warm place to keep starts at this time of year. For some plants, it is best to err on the late side because they will be stunted if left in their cell packs for too long. Leeks can tolerate a bit of crowding, and you want to make sure you get all of those days in. Leeks are also quite tolerant of being transplanted so you can thin them to another tray if you must before the ground is ready. Therefore it is better to err on the early side. Scatter your leek seeds in trays, and cover 1/4” (0.6 cm) of soil. Water the seeds in. Keep the soil most but not soaking in subsequent waterings. Seedlings can be allowed to grow somewhat dense, but they should not be quite touching. Pull out any sprouts that touch another plant, and continue to do this as they grow. Save any sprouts you pull out and garnish your dinner with them; they are delicious! If you are growing leeks commercially, transplant the plants to 2” (5 cm) plugs when they are large enough to handle. The plants are large enough to handle when you can distinguish roots from greens, and the plant looks like a small scallion. Use one plant per plug. 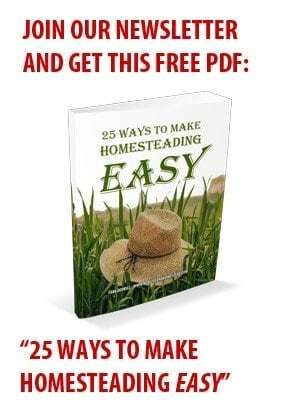 Home growers often skip this step. If you are a mild season grower planning to overwinter your plants, you can direct seed them. Sow seeds 1/4-1/2” (0.6 – 1.2 cm) deep in rows 24” apart. Thin to 6”. If you have something else in your bed during the early summer and plan to rotate leeks in afterwards, start seeds in trays quite early in the summer. Keep them out of extreme heat if possible. Growers who can not start seed early enough often turn to dried leeks. These are leeks that were started late the prior summer, and then dehydrated. They miraculously come to life when planted and watered. You can also purchase leek transplants at many nurseries. Be wary of transplants from big box stores. They may not be appropriate for your day length. 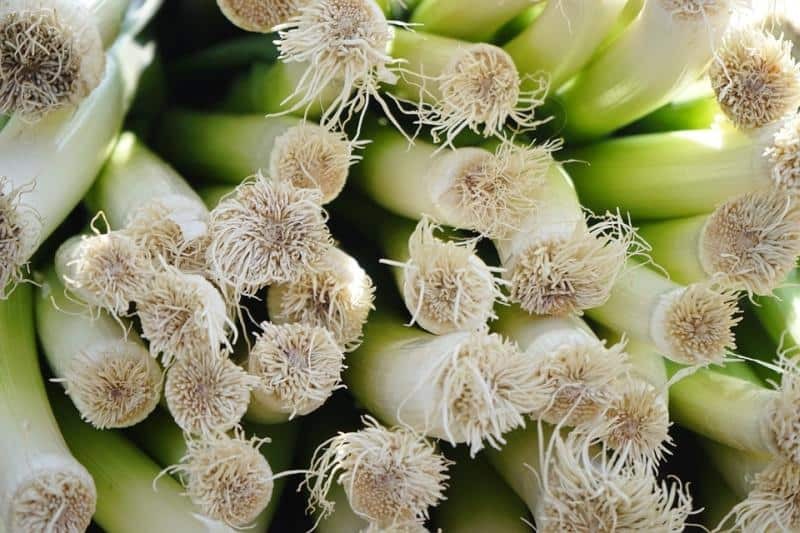 Leeks’ lower portion becomes white and tender because it is underground while the plant grows. The plants are initially planted either in holes or trenches, then hilled as the season goes on. Dig trenches six inches (15 cm) deep and 24” (60 cm) apart. Stagger holes between rows, like cookies on a baking sheet. Add compost to your trench or holes. Stagger plants in trenches like cookies on a baking sheet. Do not fill in the trench or hole, allow it to collapse naturally from watering. Do not be alarmed if just a couple of inches of your plant is above the surface. Be sure to water your leeks regularly. They prefer moister conditions than onions or garlic do. As you water, the water should be helping your holes or trenches to fill in. The first time you fertilize leeks should be long before you plant them. Mix compost and/or well aged manure into your soil before planting. For growers with hard frozen ground in the winter time, this can occur the previous fall. Side dress the plants with compost in the middle of the growing season. If you dose leeks with chemical fertilizer, you risk encouraging them to bolt. If you must fertilize leeks, pay close attention to the N-P-K.. Fertilizers are labeled according to their Nitrogen, Phosphorous, and Potassium content (N-P-K). The numbers will always be in the same order. For example, a typical bat guano, at 10-3-1 is 10% nitrogen, 3% phosphorous, and 1% potassium. As a general rule of thumb, nitrogen promotes growth of the green part of a plant, and phosphorous promotes flower growth. You absolutely do not want your leeks to even think about flowering. Therefore, a fertilizer that is rich in nitrogen but very low in phosphorous is the ticket. Compost is a well balanced fertilizer that is unlikely to shock your plants. It is the best choice for mid-season fertilization. 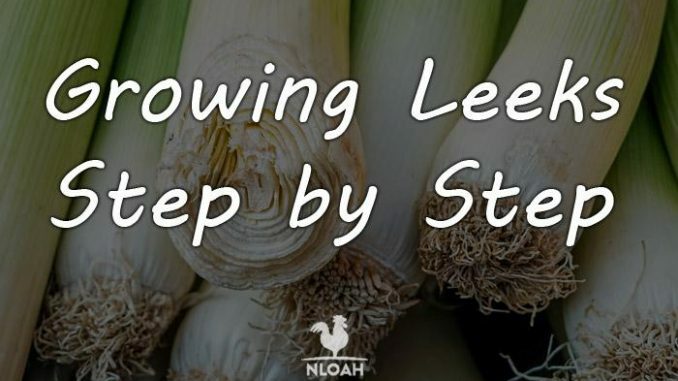 Hill your leeks as they grow through the growing season. The more of the stem you can bury, the higher up the tender, white portion will go. You can hill leeks by pulling dirt towards the plant with a hoe. If you do not have enough soil to do this, try running a tiller between your rows. Then use a shovel to gently shower the base of each plant with dirt. If you have planted your plants in a deep hole to begin with, you may not need to hill. In midsummer, cut back the foliage to about half its length. This will also encourage stalk growth. Leeks typically do not suffer from disease. Some plants may develop mildew or other fungal diseases in extremely wet climates. Plants with symptoms of mildew, rot, or other unpleasantness should be destroyed. There are some pests that prey on leeks, but are not often big problems. Pests that do attack leeks include maggots, leaf miners, and thrips that are specialized for onions. Crop rotation is always the best way to avoid pest buildup for any pest and any plant. Ensuring that beds are completely free of plant detritus after harvest is a good way to stop maggots and leaf miners from breeding on your farm or garden. If you see evidence of leaf miners within any of your leek plants, harvest the plant. You can eat the edible part, but destroy the leaves containing the insects. Leaf miners have natural predators that may take care of a mild infestation. Thrips can be controlled by spraying off with water or with beneficial insects. Size is your primary guide for harvesting leeks. Unlike other alliums, the top foliage will remain healthy looking even at harvest time. Leeks should be harvested while the stem is still perfectly cylindrical. Do not allow them to develop rounding or bulbing at the bottom. Usually, keeping leeks in the ground for long enough is a greater problem for gardeners than keeping them in too long! Gently loosen the soil around the base of the plant with a small garden fork. You should then be able to twist the plant out of the ground. Leeks can be stored in the refrigerator for 7 to 10 days. Freezing leeks is not recommended, as the texture and flavor do not stand up to it. Leeks can be kept for months in a root cellar, or they can be dried. Dried leeks will lose their flavor over time, so it is best to use them within a few months. A root cellar is a relatively humid storage area that is cool, but not freezing. It is similar to a cave. Depending on your home, you may have an area of your basement or garage with similar conditions. It must be dark. Spread leeks in a warm, dark place until outer skin is dry. This will take a day or two. Dry either on a screen suspended over a wood stove or in a dehydrator at 145 degrees Fahrenheit (63 degrees C). Store in an airtight container and keep out of direct light. How can I not mention potato-leek soup? The recipe I use is so simple, yet extremely flavorful and satisfying. I personally use butter, but any fat is fine. Slice leeks thinly into rounds. Melt your fat and get it pretty hot in a large skillet. Add leeks, let them sear a tiny bit and then turn the heat down to low. 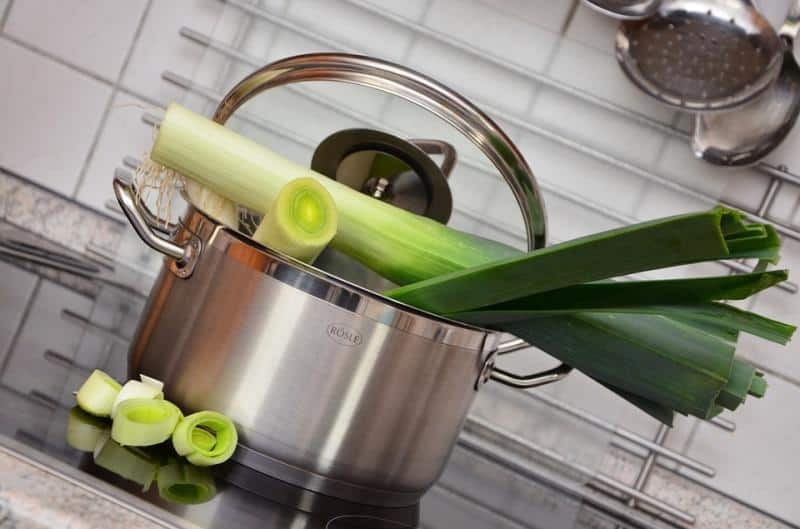 Allow leeks to continue cooking over low heat, stirring occasionally. Boil potatoes in a stock pot until they are soft. Add some potato liquid to the leeks, then mash in potatoes with a wooden spoon. Keep adding potato liquid until you have the desired amount of liquid. Optional: Puree with an immersion blender. I, personally, prefer it chunky so I skip this. Try it with purple potatoes for a real treat! I find leeks very enjoyable to grow. They are handsome in the garden, and their flavor is incredible. Give these little soldiers plenty of time and halfway decent care, and they will reward you with a great crop.